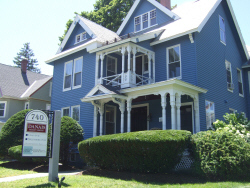 Baroff & Craven, Professional Association is an experienced commercial lending, real estate and business law firm offering legal services to individuals, businesses and institutions in New Hampshire and Massachusetts. The attorneys at Baroff & Craven Professional Association provide clients access to large-firm experience and sophistication in a small-firm environment. It is our dedication to our clients’ best interests that drives our success. We believe it is our responsibility to know as much about our clients’ needs, objectives and risk tolerances in order to allow us to provide the best advice and representation. The information on this website is not intended to provide legal advice and may not be relied upon as legal advice. You should contact one of the attorneys at Baroff & Craven, PA to discuss your specific situation. An attorney-client relationship shall only be created by the written consent and acceptance of Baroff & Craven, PA.